A beautifully landscaped front yard can increase your home’s curb appeal and value. 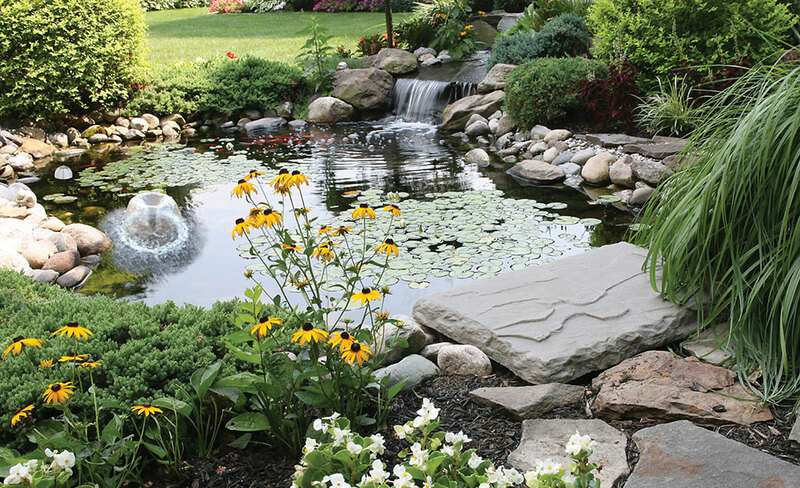 Start with what you have or replace plants and hardscaping as your time and budget allow. You don’t have to do everything at once, so think in terms of the big picture and make a plan. Do you want a new walkway or trees for shade? Focus first on the things that are most important to you. You can add more later. Grow a variety of ornamental grasses, shrubs and flowers so you’ll have interesting colors and textures all year long. Use plants of different heights and don't put large-growing plants in front of windows. Space your plants as shown on their tags, so they won’t become crowded. If needed, trim shrubs you're going to keep. To save money, start flower beds from seeds, or divide existing perennials and replant them around your yard. Look for deals on healthy shrubs and other plants that may be marked down near the end of the growing season. Be aware that they'll probably need more care than those planted during the season. Choose evergreens as foundation plants, rather than deciduous shrubs, so your landscape won’t look bare when the leaves drop. When bulbs or perennials finish blooming, tuck pots of fresh annuals around them. Got an old stump? Make a hollow in it and fill it with potting mix and flowers. If you don't want the stump, use a stump remover product. 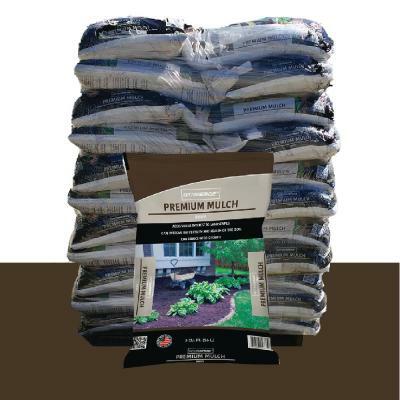 Connect shrubs, trees, flowers or foliage plants in a border topped with chipped bark or other mulch. Plant medium or large trees 30 to 50 feet away from the house, and small trees 15 feet away, so growing roots won't damage your home's foundation. Be safe. Roots can penetrate tiny gaps in underground pipes and cause major damage. Know exactly where your electric, phone, cable and gas lines are before planting. Call your local utility companies before you dig. Let the architectural style of your house inspire your landscape. Traditional landscapes use clipped hedges, symmetrical beds or borders and lush, manicured grass. If your lawn is struggling, you might need to aerate, fertilize or sow more grass seeds, or it may be time for new sod. Ask your local Home Depot Garden Center Associate for help on greening-up your grass. Use low-growing shrubs, grasses and flowering plants to repeat the horizontal lines of a ranch-style house. Add topiaries and evergreens to complement a formal home. Accent a Cape Cod or cottage with a white picket fence and cottage-garden flowers like roses, larkspurs, dianthus, snapdragons and hydrangeas. Mix in herbs for extra color and fragrance. For a contemporary home, go minimalistic. Grow plants with spiky leaves or sculptural forms and use concrete or other modern-looking containers. Instead of lantern-shaped lights along a walkway, add a glow with outdoor rope lights or choose sleek mounted lighting for a wall. 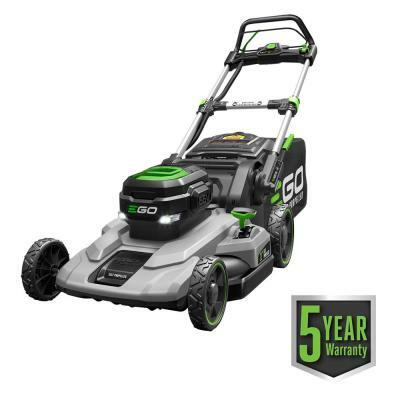 If you need tools or equipment to work on your landscaping, don’t worry. You can rent from The Home Depot. 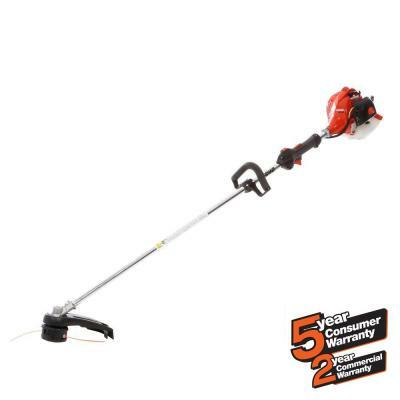 Rental tools include lawn and garden equipment, power tools and heavy machinery. Truck rentals are also available. When space in your yard is limited, use small shrubs, bulbs or annuals in containers by your front door, in hanging baskets on your porch or in window boxes. For best results, fill the planters and baskets with a quality potting soil. The plants will add color and interest at different levels. Do you have a small yard in a hot, dry climate? Grow space-saving succulents and cacti or native plants that don't need much water. 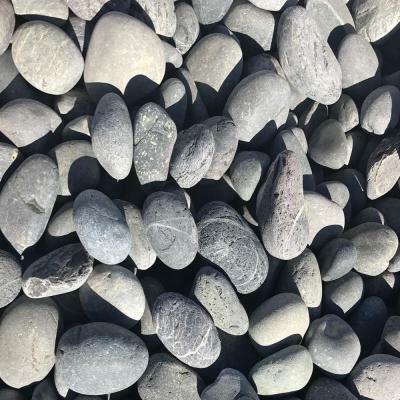 Instead of grass, cover your soil with attractive rocks, crushed stone, pebbles or gravel. Think about proportion and look for plants that match the scale of your house and yard. 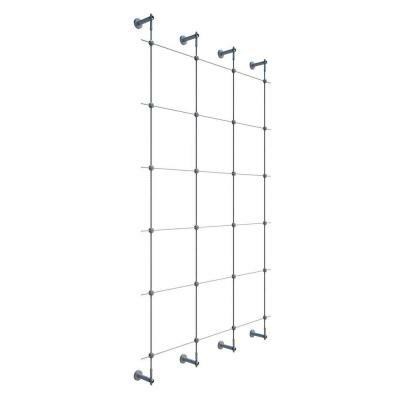 Grow vertically. Train vining or climbing plants on fences or on trellises close to, but not touching, your house. If your small yard doesn’t feel private, grow ornamental grasses, flowering plants and shrubs of different heights. Use some evergreens so your yard won’t be completely exposed in the fall and winter. Avoid a cluttered look. Don’t squeeze in too many garden statues and accessories. If your yard is really tiny, put the focus on your mailbox with colorful plants. Dress it up with a new set of house numbers, too. Add a focal point to your front yard, such as a garden statue or bench. You can also make your house the focus by planting a few trees on each side of your walkway. Grow flowers under them and echo their colors in planters beside your entrance. Line the walkway to your front entrance with low-growing liriope or mondo grass, sometimes called monkey grass. Make a butterfly island or border with a mix of plants, small trees and shrubs that attract butterflies. If you enjoy bird watching, use bird-friendly plants instead, such as coneflowers, dogwoods and native plants and add a bird bath. If you have pine trees, use the acidic pine straw as mulch in an island or bed of acid-loving plants. This could include azaleas, camellias, gardenias and ferns. If you’re planting underneath the pines, be sure your plants get enough light, since the trees will create some shade. Do you have leftover bricks or stones from a building project? Use them to edge beds and borders. 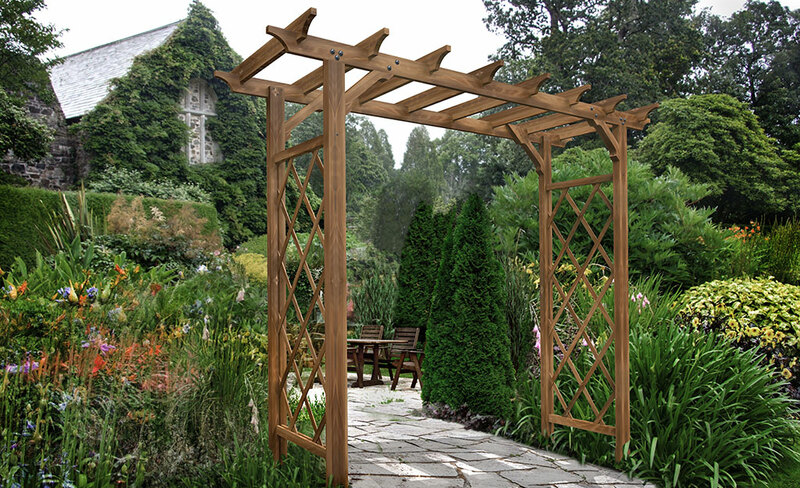 Put an arbor over the walk to your front entrance. Plant it with climbing roses, Carolina jasmine, clematis or other vining plants. Attach the arbor to a picket fence to make your front yard feel like a welcoming garden room. 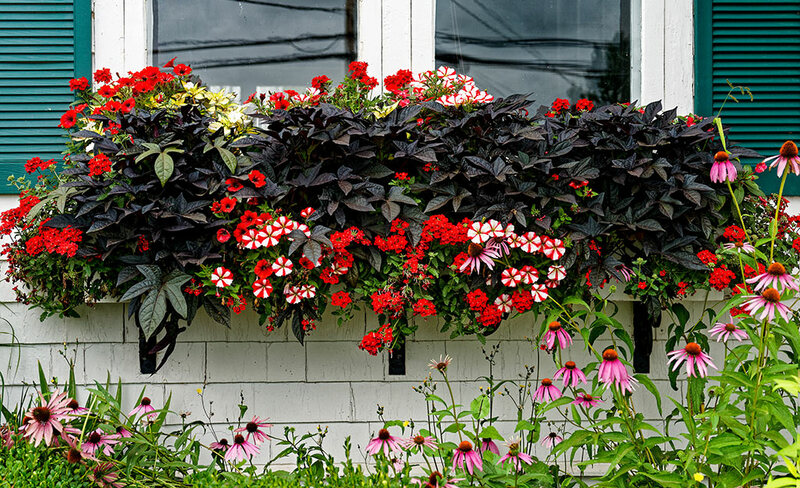 Fill window boxes with colorful flowers, herbs or small shrubs. Grow the same plants in matching or complimentary colors in flower beds below your windows. Install a small water feature, such as a glazed pot with a circulating pump, and let the overflow splash into a bed of attractive rocks. For extra color, tuck spring flowering bulbs between and around your foundation shrubs. Grow shade-loving annuals around your trees, but avoid adding a lot of extra soil, which can harm the roots. 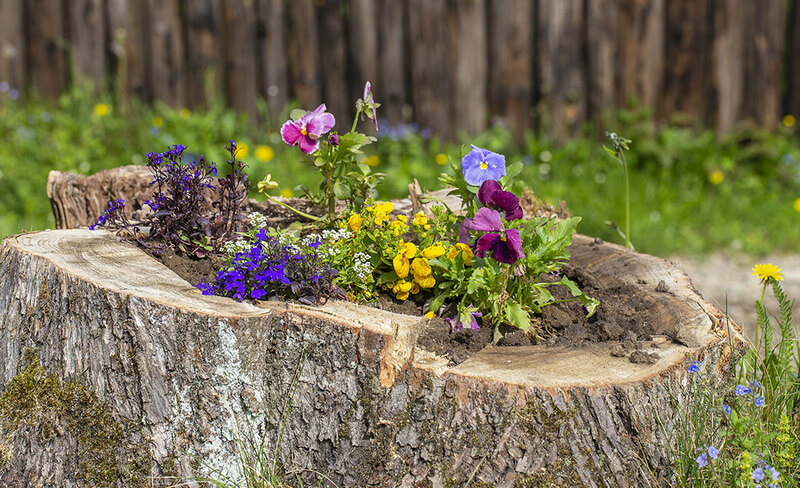 Leave a little room between the mulch and the tree trunks to discourage pests and diseases. 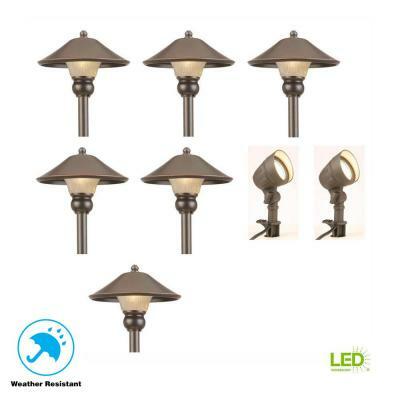 Edge a path with solar-powered landscape lights or use a garden spotlight to accent a beautiful tree at night. Fill an old wheelbarrow with quality potting soil and colorful flowers. It’s fine if the wheelbarrow has rusty spots. They’ll let excess rainfall drain out. You can do the same thing with a child’s wagon or a bicycle that has front and back baskets. Prop the bike against a tree or fence to display it. For a contemporary look, stack cinder blocks to make a planter or bed. The openings at the bottoms will let excess water drain out. Turn part of your yard into an edible garden with herbs, dwarf fruits and vegetables. Since this is in front of your home, make sure your local zoning regulations and/or homeowners' association rules permit this. Save yourself some work and use informal shrubs that don't need much pruning. 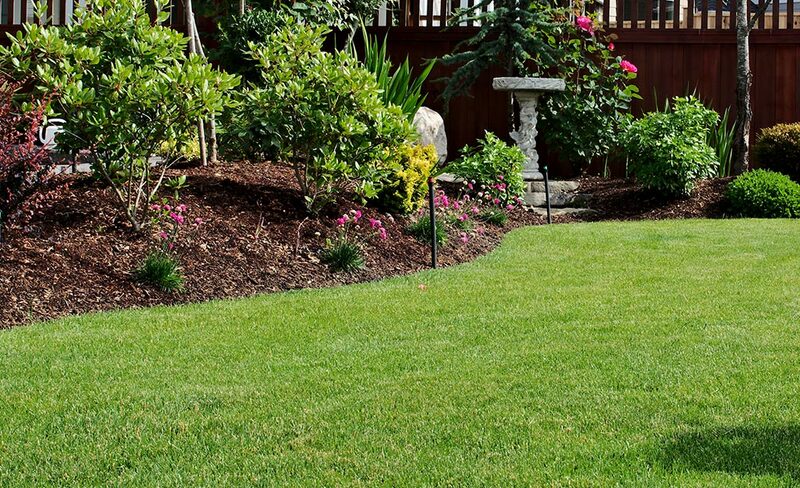 Cut down on mowing by creating a rock garden or substituting ground covers for some of your grass. 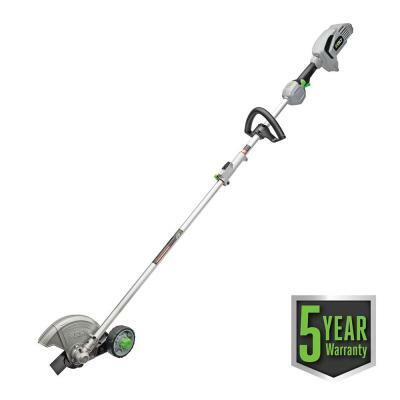 Keep your lawn 2-3" tall, which is typically the highest setting on most push mowers. Removing more than one-third of the grass blades leads to shorter root systems and makes it harder for the grass to take up enough moisture. More weeds germinate when the grass is not tall enough to shade them out, so mow only as often as needed to discourage them. 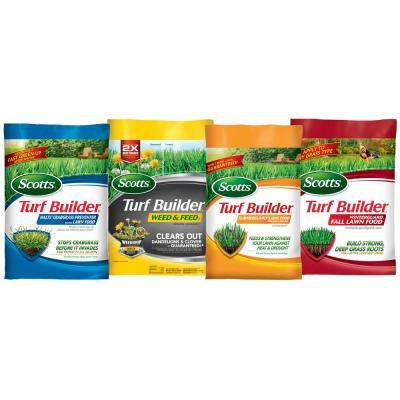 Combat any brown, patchy spots by reseeding and adding fertilizer. Learn more in The Home Depot Overseeding Project Guide. 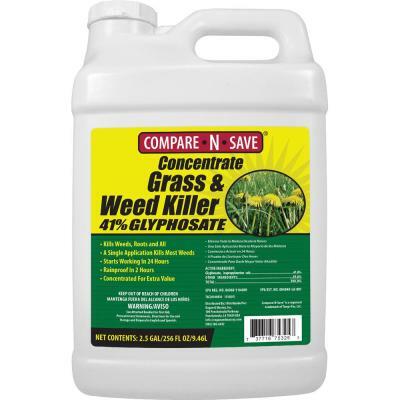 Break out the lawn weed killer to attack dandelions or crab grass, so new weeds won't sprout up.